Collective sales have a way of making property owners, other than those getting a windfall, envious. This is especially so in a boom like the current one for houses sold en bloc. These days, besides envy, owners of ageing apartments - whether private or public - may also feel a tinge of anxiety if the 99-year lease of the land their property sits on, or the 99-year tenure of the flat, is decaying fast, with no prospect of a buyout by either a private developer or the Government. The anxiety is due to a distinct possibility that instead of their property appreciating in value, it may start to depreciate as the lease runs out, and restrictions on Central Provident Fund usage, bank loans and Housing Board loans start to apply. This problem of decaying leases is not confined to Singapore. Other countries are also grappling with it, with China in the midst of working out a provision to deal with 70-year residential leases that are fast running out. What may be unique to Singapore is the large share of home owners affected, said Singapore Management University (SMU) law don Eugene Tan. "Singapore is unique because of the increasing preponderance of land with 99-year leases; the vast majority of Singaporeans live in HDB flats, and home owning is far more popular than renting here," he said. What does that mean for home owners then, and for would-be buyers and sellers of older flats? Since last year, there have been 20 collective sale deals transacted. These have generated a whopping $7.28 billion in proceeds for owners of the 3,268 apartments, according to Colliers International. Private developers' hunger for residential land sites was evident in their willingness to shell out record amounts in upgrading premiums to top up the lease and differential premiums to intensify land use. On average, the premium payable for leasehold sites transacted so far this year to top up leases and intensify land use is estimated at about $246 million, compared with $227.5 million paid during the collective sale cycle from 2005 to 2008, said Dr Lee Nai Jia, research head at Edmund Tie & Company. Normanton Park near Science Park, which was sold last month for $830.1 million to Chinese firm Kingsford Huray Development, set a record for the highest land rate - $969 per sq ft per plot ratio (psf ppr) - for a 99-year leasehold collective sale site this year. The winning bid came with an estimated $231.1 million additional payment to top up the lease to 99 years and a differential premium of about $283.4 million to redevelop the former 488-unit estate to a new high-rise development that could potentially house more than 1,200 new residential units. For many owners of ageing apartments like those in Pearlbank Apartments, a well-known horseshoe-shaped building in Outram, a collective sale is an ideal way to cash out. The development is making its fourth attempt in 10 years with an asking price of $728 million, which could potentially reap owners a premium of more than 55 per cent over market values. Ms Tang Wei Leng, managing director of Colliers, the marketing agent, said: "The reserve price of a three-bedroom unit is about $2.5 million, compared with the last transacted price of a similar-sized unit at $1.6 million two months ago." But the reality is that only a lucky few private property owners will enjoy a collective sale windfall. Only about 0.75 per cent of the total private housing stock has been sold via collective sale this year, according to Edmund Tie & Company. Such sales make sense only when apartment owners can sell their units at premiums of between 40 per cent and 100 per cent above the market price, said consultants. The value of collective sale sites depends on their location, size, permitted gross plot ratio, existing density, remaining lease length and also market conditions (demand and prices of nearby new developments), as well as the supply of available state land. One factor that may dampen collective sale fever is the latest increase in development charge (DC) rates, paid by developers to enhance the use of a non-landed residential site. DC rates have gone up in 116 of the 118 geographical sectors by between 6 per cent and 29 per cent for the period between Sept 1 and Feb 28 next year, with the biggest increase of 29 per cent applying in Tampines Road, Hougang, Punggol and Sengkang. Depending on the location, the higher DC rates may take a toll, as they can increase charges payable by developers for increasing the floor area of the new development, said consultants. As a result, some developers could offer lower prices to acquire older leasehold properties collectively, which could discourage some owners from supporting such sales. For the majority of Singaporeans who live in HDB flats, many hope that the Selective En bloc Redevelopment Scheme (Sers), which is part of the urban renewal programme for public housing, will be their way out. NUS real estate don Yu Shi-Ming said: "Flat owners benefit from compensation based on current resale prices and the option to buy a new 99-year flat in the vicinity." But many flat owners may not realise that Sers is offered only on a "highly selective basis" to HDB blocks located in sites with high redevelopment potential, subject to the availability of suitable replacement sites and the Government's financial resources. Only 4 per cent of flats have been identified by HDB to undergo Sers since its launch in 1995. To date, Sers has been offered to only 80 sites, the HDB told The Straits Times. Associate Professor Sing Tien Foo of National University of Singapore's Department of Real Estate said: "For HDB blocks, the leases will be extended when redeveloped, and HDB will have to pay to the Government the agreed sum for the topping up of the leases. The computation of the topping of HDB leases is not publicly revealed." The current collective sale fever and substantial windfall to owners of private leasehold properties that have successfully been sold highlight even more poignantly the issue of decaying leases for HDB flat owners, who are the majority. 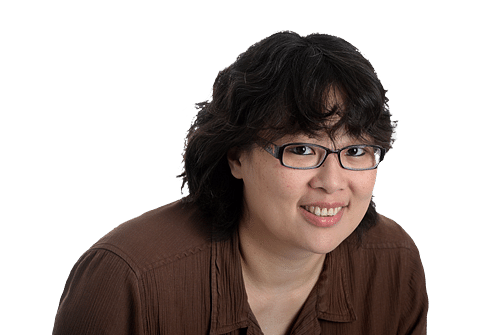 This is especially so after a wake-up call from National Development Minister Lawrence Wong, who said in a March blog post that Sers would benefit only a very small minority. 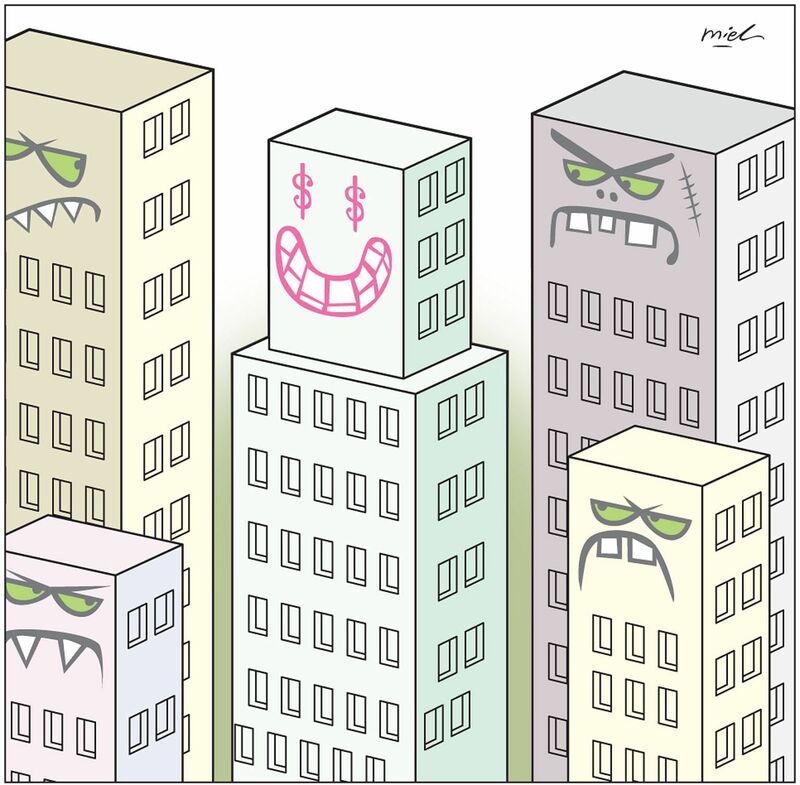 Still, HDB owners need not over-react. As some consultants noted, many owners who need to sell their flats as the lease runs down will likely find that resale prices are above what they had originally paid, assuming they had bought the flat brand new. And in most cases, owners would have enjoyed direct and indirect government subsidies in the purchase of their HDB flats, SMU's Associate Professor Tan said. An HDB spokesman pointed out: "Owners of older HDB flats are generally able to sell their flats in the resale market today. There is still demand for older flats, including from elderly buyers who are right-sizing, as well as families who are not yet ready to commit to a longer lease. Older flats are also attractive to some buyers as they are usually located in more central locations and served by established amenities." Even though the problem of decaying leases for public housing may not rear its head for several more decades, Prof Tan pointed out that the reality is starting to bite now because CPF usage and HDB loans, since July 1, 2013, have been restricted to the purchase of flats with a remaining lease of less than 60 years. "Older flats will increasingly be valued less as their leases run down, and those who seek to buy such apartments should prepare for a higher rate of depreciation of value," he said. Many flat owners may not realise that Sers is offered only on a "highly selective basis" to HDB blocks located in sites with high redevelopment potential, subject to the availability of suitable replacement sites and the Government's financial resources. Only 4 per cent of flats have been identified by HDB to undergo Sers since its launch in 1995. To date, Sers has been offered to only 80 sites, the HDB told The Straits Times. As 70,000 of the total stock of about one million HDB flats are more than 40 years old, nearly 10 per cent of public housing today will be facing lease expiry in 50 years. For the vast majority of flats, that means the leases will expire and the flats will be returned to the HDB, which will in turn have to surrender the land to the state. The HDB told ST: "As the first batch of HDB leases will only expire in about 50 years' time, we will not be able to fully ascertain what these future needs are. "Therefore, buyers and sellers of HDB flats should decide on their resale transactions based on the current 99-year lease policy." Given that HDB flats constitute the biggest asset for most Singaporeans, the notion that these flats, especially those with less than half their lease remaining, are depreciating assets is a new reality, Prof Tan said. That means the idea of the HDB flat as a store of value for retirement will also have to be adjusted since this can affect retirement adequacy, he added. "Expanding Sers will be very much welcomed. Politically, it is also the most expedient for the Government. But financially, it is probably neither feasible nor sustainable," he said. Sers remains useful in that it enables HDB to renew precincts within older housing estates, but we may see it being applied even more sparingly on account of its high costs against a tightening fiscal position, said Prof Tan. "I won't discount the possibility that Sers may be scrapped in the future on the back of concerns over equity, which relates to the windfall or lottery effect if a block is selected for Sers," he said. Owners of older flats may look enviously at owners of ageing 99-year leasehold private properties and think the grass is greener on their side. But if those private properties cannot succeed in a collective sale, then both parties will be stuck in the same boat. While no HDB lease has decayed completely for now, how this issue is resolved will be critical to maintaining stability in the property market. The challenge is a daunting one.